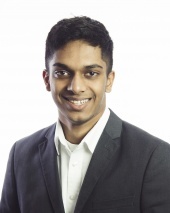 Atulya Shetty is a student at the University of Michigan, Ann Arbor, where he is pursuing a dual degree in computer science and business. He was introduced to chess at age four by two teachers at his daycare center. He won the First Grade Section at the National K-12 Grade Championships at age six. Later, he won the Denker in 2012, and the K-12 Section at the Super Nationals V in 2013 . This achievement landed him on the cover of the June 2013 issue of Chess Life. He has represented the U.S. in several World Youth Championships. He is currently, and has been for several years, the highest rated player in the State of Michigan.